The weather at this time of the season is warm during the days and cool during the nights so dress accordingly. Wear comfortable walking shoes. We will send you out our 'Practical Information Guide' with every confirmation - please bring it with you! Arrival to Cairo Int'l Airport 12:15 pm (flight #986 from JFK), meet & assist, transfer to hotel or Gouda's Facility. Welcome orientation, beverages and Sunset Dinner at Goudas Complex, overnight in Giza. Sound & light show on Goudas roof. You made it! Ride Legendary Arabians and camels among the greatest monuments in the world. 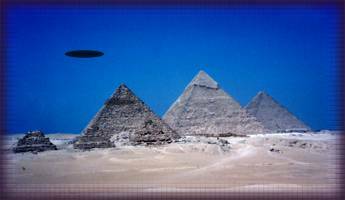 See the Sphinx, Pyramids, Saqqara & Memphis temples! 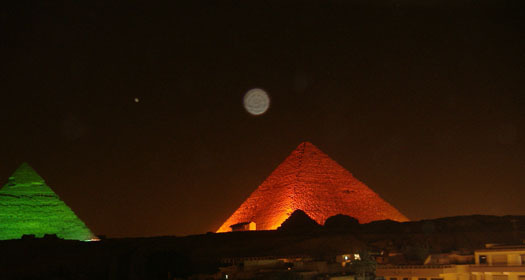 Transfer to the super deluxe accommodations in Giza, Cairo. Take in the Pyramid Light and Sound Show! With a spectacular sweeping view of the Pyramids and Sphinx on the Giza Plateau, our Private conference facility is the envy of Egypt! General announcements, orientation and welcome. Will break for a delicious dinner catered by our personal chef. We chose this site over the stuffy hotels in order to help you connect to this magical land on a very personal level. The modern comfort & style at our facility, against an ancient background, with the daily life-force below in the narrow streets of Nazlet El Samman, the village at the foot of the Great Sphinx & Pyramids, is beyond mere literary description. You must experience this for yourselves! Our Egyptian hosts, The Fayed Family, is one of the finest most well respected, hospitable families in Egypt, and the world. Our host, Gouda Fayed, owns and operates a world-renowned Egyptian perfumery, and can custom blend the highest quality rare essences at your request. We will share a delicious Egyptian lunch catered by our personal chefs. At various times throughout the conference we will be providing excellent catered meals, usually lunch and dinner. Today is an important day of preparation for our comprehensive hands-on exploration and a transformative journey. Many unexpected delights and profound discoveries are awaiting you. Jason speaks a little bit on the Pyramid at Goudas. Lunch at Goudas, visit the Great Pyramids, Sphinx and the Valley Temple. Dinner at Goudas, overnight in Giza. 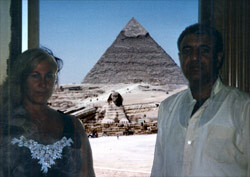 *Optional - I will arrange a group sunset Arabian horse/camel ride through pyramids. Breakfast at hotel/Goudas. Visit to the Coptic Museum, 1:30 pm visit to the Egyptian Museum. The Khan El Khalili Bazaar - 1000 year old marketplace, lunch on your own there. Late Dinner at Gouda's. Night free time. *Optional - Arabian Horseback riding, overnight in Giza. Breakfast, then go Sakkara, Memphis, & Dashur. Lunch at a local restaurant. Visit carpet factory, dinner at Gouda's facility, overnight in Giza. 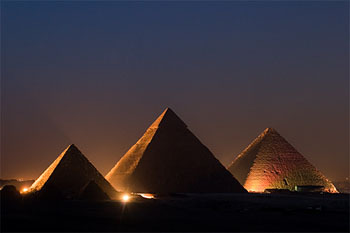 *Optional - I will arrange a group sunset Arabian Horse/Camel ride through the pyramids. We will visit a carpet facility where carpets from all over the world are displayed and made. Next we go to the Papyrus School where you can actually watch papyruses being hand-painted. 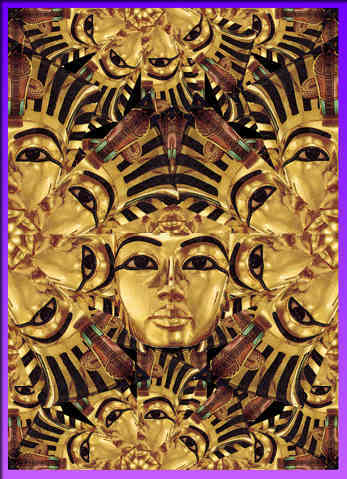 Next you can look for that special 22k gold cartouche or jewelry. Next we go to the Papyrus School where you can actually watch papyruses being hand-painted. 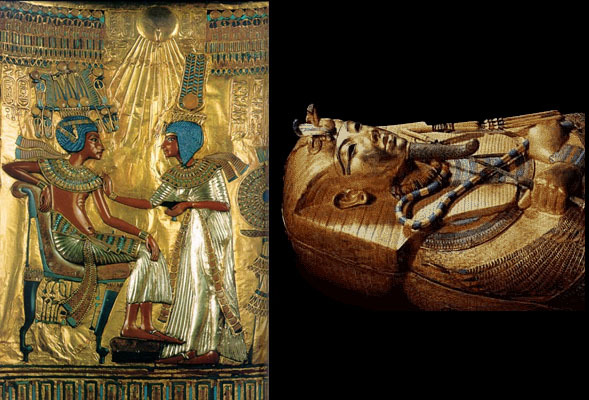 Next you can look for that special 22k gold Cartouche or jewelry. Breakfast, early morning transfer to airport for flight to Luxor. 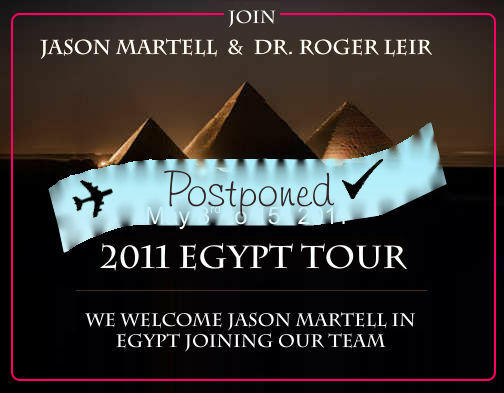 Depart Cairo 11:45 am (Flight #343), arrive in Luxor 12:55 pm. 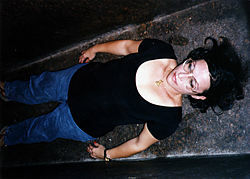 Transfer luggage, check into the Sonesta St. George Hotel in Luxor. Lunch & Dinner on your own. Join us for Karnak Sound & Light show. This is a walk through Karnak Temple at night and a sit down light show! Early morning breakfast at the hotel. 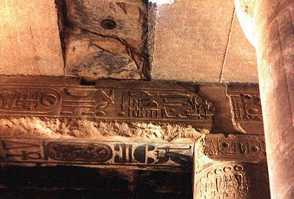 Depart 7 am Caravan to Dendera & Abydos Temple with convoy (take box lunch, we provide) and back to the hotel 6 pm. Leisure time... Dinner on your own. Overnight Sonesta St. George Hotel. 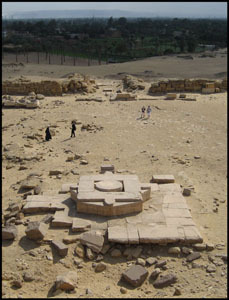 *Optional Karnak Sound and Light show. Cruise to the most famous sites dotting the Nile valley from Luxor to Aswan, as well as selected exquisite "off the beaten path" areas, most of which are strictly off limits to the general public. Join us on this exciting spiritual, educational, and exclusive "backstage" tour of Egypt's heartland. (Full meals aboard cruise.) One special day at the Abydos and Dendera temple ruins. We embark upon our luxury cruise liner, home for the next four days. 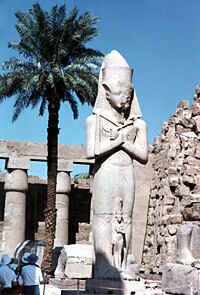 After an early lunch we visit the temples of Karnak and Luxor. After dinner you can experience the Sound and Light Show at the Temple of Karnak or stay on board with the choice of quiet time in your cabin or night life on the ship. Breakfast at hotel followed by check-out. Our representative will transfer luggage to the Sonesta Nile Godess Ship. Full morning to the West Bank (Thebes) to see the Valley of the Kings and Temple of Queen Hatchepsut atEl Deir El Bahari & the Colossi of Memnon. 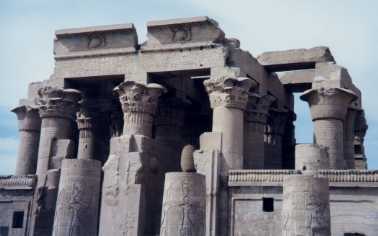 Temple of Ramesseum, back to ship for lunch and rest on board, afternoon tea. 3 pm visit to East Bank, visit to Karnak Temple, back to the boat, dinner and Galabeya party (traditional local clothes) & Belly Dance Show. Overnight on board. Breakfast, sail to Esna and the Edfu Temple. Lunch & afternoon tea, dinner on board. Jordan will be speaking tonight. Captain's welcome cocktail party! Discotheque, onboard overnight in Esna and visit Temple of Horus, Edfu tomorrow!. 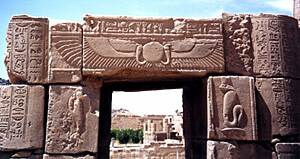 Breakfast, Visit Temple of Horus, take a horse drawn chariot to the temple of Horus at Edfu. Lunch on board, afternoon tea, Sail to Kom Ombo, nighttime Galabeya party (local customary dress), over night on board in Kom Ombo. Breakfast, visit the Temple of Kom Ombo then cruise to Aswan, lunch on board. 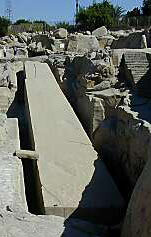 Visit the Aswan High Dam and unfinished Granite Obelisk Quarry, Philae Temple, Sobek, and Haroeies temples to Aswan. Sail on the Nile on a Felucca around Kitchener's Island, afternoon tea, dinner on board. Nubian Folkloric Show, overnight in Aswan. *Optional Philae Laser Light Show - Awesome! Early breakfast, 7:55 am departure Flight #130 - arriving in Abu Simbel 8:45 am. Go out to temple site (fantastic! 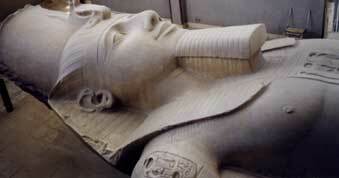 ), then transfer to Aswan Airport departing Abu Simbel 2:15 pm (flight #135), arriving Cairo 5:00 pm. Dinner in a restaurant along the Nile, return to Giza Pyramids. Breakfast, Abu Garab we go by taxi through a Mango Orchard to the edge of the desert. Oldest monument built buy the Ancients, Legend says it is a space port with landing slab 4 feet thick. Christopher Dunn measured it with his instruments and said this was not hand made. it was a machined solid piece of Granite. *Optional on-your-own-day. 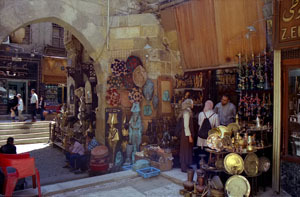 You can return to the Khan El Khalili Market or go to the pyramids and see a different pyramid. Farewell Dinner, Walk up on the roof and make a wish. Say goodbye to newfound friends. We wish you a safe journey home and fond memories of a once in a lifetime trip! Early breakfast, 10:15 flight #985 am departure to USA arrives JFK @ 3:15 pm. Meditation and Initiation at the Sacred Sites (where appropriate). All Transfers according to the above program, site fees and porterage. 3 Lunches will be in local restaurant in Sakkara, Dendera/Abydos & Cairo. You will have only one meal in the hotels (Breakfast). Plateau and Pyramid entrance fee not included. (About $30 fee for each person). Optional Arabian Horse / Camel ride through the Pyramids, separately paid. Optional Luxor Museum, separately paid. Optional Philae Laser Light Show, Awesome! Separately paid.